Hi! How was your weekend! Ours was fabulous and we enjoyed some fall-ish weather...if you can call it that--since we are in South Florida. This is one of my favorite quotes--and I am miserable at following it's advice! I know as teachers we are often put in hard situations--whether they last 5 minutes, a day, a week, or an entire school year! It's not always roses! BUT I think its so important to make the most of each situation and to somehow grow from the situation. 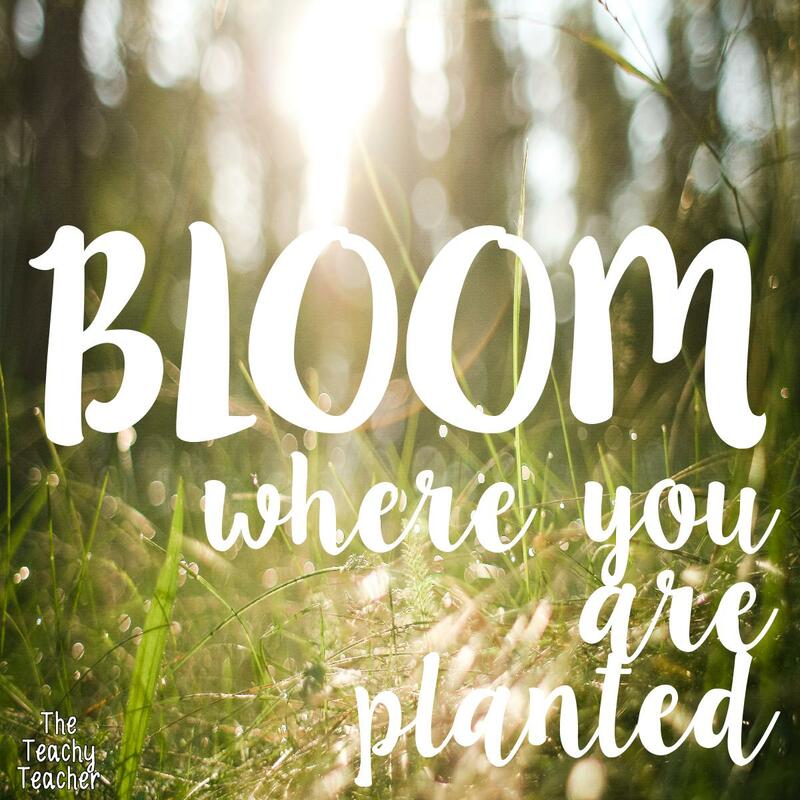 BLOOM where you are planted--don't stay the same, don't just push through--BLOOM!!!! No matter what! Happy Monday!! !